Beginning with a soft rumble of Castaldi’s toms, the piece eases into a melodic line that Lovano and Crispell play together in a free-flowing rubato. 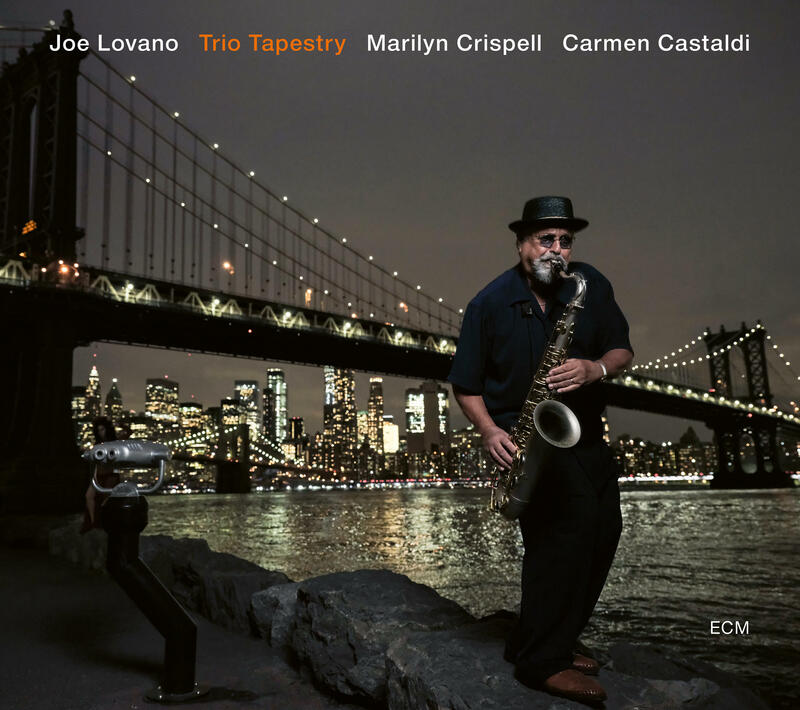 It’s a piece very much in tune with the style that Lovano and Crispell each favored in trios with Motian. (It also bears a relationship with the lyricism of Ornette Coleman – which likely explains the title, with its echo of “Beauty is a Rare Thing.”) And the pliable cohesion on display underscores how much this is a collective achievement. Trio Tapestry will be available on Jan. 25; preorder here. Lovano’s new trio will perform at the Albright-Knox Art Gallery, in Buffalo, N.Y., on Jan. 27. And Jazz Night in America just spent some time with Lovano in Cleveland, for a radio episode that will broadcast in the spring. Around this time last year, pianist Michael Wolff brought his trio to the Yamaha Salon in midtown Manhattan, for a concert presented by WBGO. Wolff and his intuitive partners, bassist Ben Allison and drummer Allan Mednard, had previously appeared on a Yamaha Salon concert in honor of Erroll Garner — but this time they were the sole attraction, recording new music for a future release. Swirl, the resulting album, was produced by Wolff and John Newcott, and will be available on Sunnyside on Jan. 25. “Allison,” the album’s sparkling opening track, is a co-creation of Wolff and its namesake (first name Ben). Its buoyant groove and ringing melody recall the classic Ahmad Jamal Trio, without outright imitation. Elsewhere on the album, there are songbook ballads (“Angel Eyes”) and syncopated swingers (“Metairie”) — along with moments that wryly acknowledge a harrowing battle with cancer, which Wolf has thankfully put behind him. 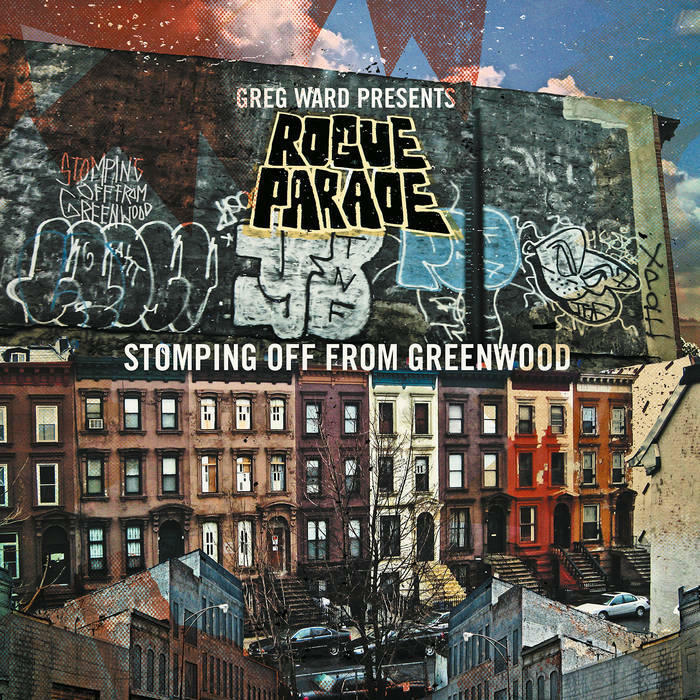 Greg Ward is a Chicago-based alto saxophonist who knows how to reconcile different elements: acoustic and electronic, precise and volatile, inside and “out.” He has an arresting new album, Stomping Off From Greenwood, that brings this gift into clear focus, with a batch of new compositions for the band he calls Rogue Parade. The album, just out on Greenleaf Music, marks a clear forward step for Ward as a composer and bandleader: it’s a collection of tunes that add up to a compelling arc, without requiring any high concept or explanatory hook. The band — guitarists Matt Gold and Dave Miller, bassist Matt Ulery and drummer Quin Kirchner — attacks every tune as a worthy challenge, including the track above, “The Contender,” whose title would seem to carry an obvious connotation. Opening with a smart peekaboo snarl, as if in distant homage to the early work of Tim Berne, the composition opens first to a piano solo by Stefan Aeby, who’s the picture of flowing articulacy. The band swerves into a left turn around 2:30, and then seems to dissolve into echoing abstraction, mainly via guitarist Dave Gisler. You could easily mistake that for a coda, but it’s actually a bridge — to a plaintive melodic passage that highlights Irniger’s affinities for the American tenor Mark Turner, among other things. At around 6:00, a quiet yet persistent ostinato begins to bubble up, courtesy of Raffaele Bossard’s bass and Michael Stulz’s drums. There’s so much going on here, but nothing that feels indulgent or out of place. An irrepressible force in contemporary jazz and new age for more than 30 years, keyboardist Keiko Matsui has a new studio album, Echo, due out on Shanachie Entertainment on Feb. 22. Along with the trusted members of her band, it features an array of guest contributors, like saxophonist Kirk Whalum, bassists Marcus Miller and Kyle Eastwood — and vocalist Gretchen Parlato, who appears here. Matsui originally wrote this composition strictly for her band. But as its lilting Brazilian character emerged, she quickly thought of Parlato, whom she had met on a jazz cruise. “I was familiar with her use of voice as percussion, and the chorus section of this song seemed really made for her,” Matsui says in a press statement. The finished result makes fine use of that skill, opening on Parlato’s multitracked vocals before the band locks smoothly into gear.